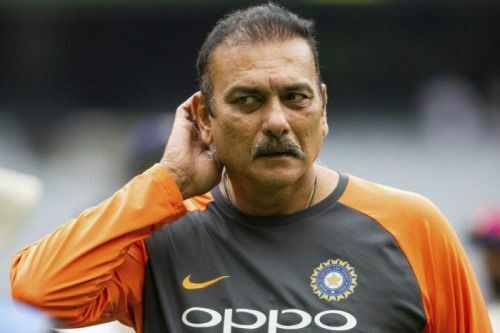 After the disappointing ODI series loss against Australia at home, the Indian selectors and the Indian team management are in a quandary as to the composition of the Indian squad for the World Cup. The Australian series has brought in more problems than solutions. Suddenly one could feel the confusion setting in with no more ODIs to play before the World Cup to further experiment with. As it stands now, about 10 players are almost assured of a place in the World Cup squad. They are Virat Kohli, Rohit Sharma, Shikhar Dhawan, M.S. Dhoni, Kedar Jadhav, Hardik Pandya. Bhuvneshwar Kumar. Jasprit Bumrah. Mohammad Shami. and Kuldeep Yadav. Apart from the above players, Yuzvendra Chahal is almost there, though his recent performances were not so impressive. After the Australian series, Amabti Rayadu, K.L. Rahul and Rishabh Pant have almost played themselves out of the squad with their mediocre performances. A lot of time has been invested on Ambati Rayadu as the prospective number four batsman without producing the desired results. There is already talk about bringing back Ajinkya Rahane for the crucial number four spot. Sourav Ganguly has even gone on to the extent of suggesting the name of Chateshwar Pujara for that spot. When the 'Dada' suggests something, it should make a lot of sense. If one were to apply Ganguly’s same logic of Pujara, India can very well settle for Ishant Sharma as the fourth seamer, perhaps in place of Chahal, instead of further wasting their time on the inclusion or not of a Umesh Yadav or a Khaleel Ahmed. But unfortunately for Team India, it is not realistic to include either Pujara or Ishant Sharma in the World Cup squad at this point in time. Nonetheless, they are not at all a bad option. As far as Rahane is concerned, he could play the dual role of the reserve opener and reserve middle-order batsman. Add Dinesh Karthik into the mix, one could arrive at an evenhanded squad. It seems like Karthik might clinch his place in the squad sitting from the confines of his living room. To Karthik’s credit, he could play a similar role of Rahane in batting and valuable addition to the squad as a safe wicket-keeper. The Australian ODI series was not after all a total disaster for Team India. Two players who got their chances in the absence of Hardik Pandya, have pretty much booked their places in the squad. This article is about those two players.